Yes, this is a post about extreme sports and if you’ve arrived at our blog looking for information about extreme sports injuries and California law, you’ll find that. However, this post is also relevant to those who prefer simpler thrills. The California injury law principles we discuss in today’s blog entry apply when a person is injured in any type of recreational activity from cliff-diving to Pee-Wee soccer. Developed over many decades, these principles even apply to newly popular activities like the fast-growing arena of adult obstacle course races. In this first of two parts, our San Francisco sports injury law firm looks at civil claims that can arise as a result of recreational injuries. Next week, we will continue with a look at some of the most common defenses to these claims and how those defenses can be overcome. A stunt display planned as part of the kickoff to a golf tournament in Squaw Valley took a tragic turn on Monday. The Press Democrat reports that while two other skydivers landed safely on the greens 39-year-old extreme athlete Erik Roner fell hard and crash landed into a tree. Roner’s parachute became tangled, leaving him dangling some 25 to 30 feet above ground. People on the scene scrambled to help, even attempting to form a human ladder to reach Roner, but he passed away before they could succeed. According to a fellow athlete who spoke with the paper, there was no protocol for attempting the type of rescue needed. Given the nature of the accident, the Federal Aviation Administration is conducting an investigation. Roner was a famed extreme athlete known for BASE jumping and his MTV appearances in addition to his skydiving prowess. While many think of extreme sports as a new phenomenon, they have been around in one form or another for centuries. An article on extreme sports in the online version of the American Bar Association Journal cites gladiator matches in Ancient Rome as the historical equivalent of today’s high-risk sports. Some sports once deemed extreme have become more mainstream, for example, marathon running. At the same time as certain extreme sports are exploding, the ABA Journal article notes, there has also been a rise in “functional fitness” activities, such as Cross-Fit, and activities that bridge the two arenas like the increasingly-popular field of obstacle courses. Negligence – The core of most personal injury litigation, negligence is the failure to exercise the reasonable level of care that an ordinary person would use under similar circumstances. A negligence claim might arise from allowing too many racers to participate in order to maximize profits despite the course being insufficient to handle the numbers. Gross Negligence – This is, in essence, a more extreme form of negligence involving a major departure from reasonable care. In the extreme sports world, gross negligence might apply if the defendant purposefully made an activity more dangerous like hiding unannounced obstacles in a mud pit on a race course. Product Liability – Product liability claims apply when sporting equipment is unsafe, such as a parachute that does not operate properly. Product defect claims are strict liability, meaning intent is irrelevant, and they cannot be waived. Next week, we will look at some defenses that are often asserted in recreational injury cases, including the doctrine of assumption of risk and the use of express waivers. These defenses are powerful, but they can be defeated. 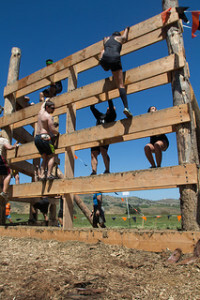 From acting as a San Francisco extreme sports injury lawyer to serving as a Northern California obstacle course injury lawyer in Sonoma and helping families as an Oakland children’s sports injury attorney, Gregory Brod understands California law and he has the expertise to help the wrongfully injured and/or their families recover the compensation they deserve. Call or contact us using the form to the left to arrange a no-cost consultation.